Producer’s Hub Series: Rauthentic’s Ken Schneider. In a vast ocean of good music coming from all corners of the world, it can be really tough to get noticed. The contemporary industry landscape is such that all sorts of really talented artists get drowned out and lost in all the noise. In spite of the opportunities the Internet age has afforded artists, it’s actually becoming increasingly difficult to cultivate an audience organically; rather, musicians have become forced to learn how to market themselves and their music in order to get heard. We now live in what’s been called the ‘Attention Economy’ – and in order to succeed in this new environment, artists have been forced to adapt through business savvy. For many producers, this seems a chore – after all, time spent on marketing and self-promotion is time that could otherwise be spent making music and honing one’s craft. However, the simple truth is that marketing is no longer an option for those wanting to take the next step and quickly grow their following. Alright, so we’ve established that promoting your music is important. But where to start? We chatted with Ken Schneider AKA Ke-Chi [his producer pseudonym], founder of successful and fast-growing Internet label/collective “Rauthentic,” among others, and artist manager for a number of hot new producers like Eli Way [whose newest single, linked above, just dropped – give it a listen]. As someone with an intimate understanding of the current playing field, he had some really valuable insights to share with us, of which all aspiring or current producers should take note. Read on for the full interview – and invaluable music marketing tips from Ken – below! How did you get started with so-called “Internet labels”/collectives? Do you believe – as many do – that these relatively new platforms have revolutionized the game? I got started as a fan, since I’ve been listening to so much music trying to find new sounds; eventually I began producing when I was 13, and then gradually became more exposed to the artists I listened to as I started to contact them via Facebook just thanking them for tunes and trying to get to know them. One day I had the idea while talking to my girlfriend and Outlit about this, and we decided to start Rauthentic because we felt that nobody else offered a proper home for the music we wanted to push, and we want to be able to build careers for these upcoming artists that have unique sounds. I do believe that these platforms have revolutionized the scene however I believe that it is only the beginning. These collectives are still young, many are fading out and we are just beginning to see who rises above the pack. As a producer yourself, what, if any, were some of your biggest initial struggles with self-promotion and putting yourself out there? As a producer, one of my biggest struggles was finding the patience to slow down, stop uploading music, and to practice my craft. I see a lot of producers putting up their music in year one as I did, which works for some people but for the 90% it’s just not practical. One of the most important things I could ever tell to a producer is to be humble, patient, and hungry for new sounds. You’re also an artist manager for Eli Way, among others – what’s been your experience with that and what advice do you have for producers out there who are actively seeking representation? The artists I work with often don’t have the connections that I have, working with labels every day from various scenes. They have their side jobs and what not, and to make them spend all their production time trying to promote themselves and meet those labels would take away from their ability to make music. Thus, I find it important as a manager to do everything I can to take the work load off of them so that they can just focus and make tunes. You wear a lot of hats – what would you like to be doing a few years from now, and with whom? Well in a few years I’d love to be doing exactly what I’m doing. I’d like to expand of course, and open up new platforms, such as a more widespread management agency, an HQ for the Academy, and a much stronger promotional network. What, to you, is the importance of developing personal networks in this scene? How have your music contacts helped you over the years? The importance of networking is everything to working in this scene. Nobody can make it alone. I think that one thing people lose touch with though is that, networking isn’t about short term accomplishments. When you’re networking, it should always be about connecting with the person, befriending them, and when you are looking for their help, giving them that mutual benefit. Too many people I see have this rambo attitude and then next thing they know they’ve talked to everyone, but they’ve also burnt bridges with everyone. My contacts and friends have gotten me everything I have today. All I do is work with what I’ve been given and what I feel inside of me. Everyone who made it needed a team to get there even if they’ve done everything they can to make it look otherwise. I encourage everyone to make it to trade shows. IMSTA Festa, SXSW, and most importantly the AES convention. If it weren’t for going to IMSTA and AES, I’d never be where I am today, and I’m 100% certain of that. There’s not many other places where you can just walk in, meet platinum producers, talk with them over smoothies and not have to feel intimidated. (1) Produce Quality Content: As far as promo, the most important thing I must stress is content. Too many people put out horrible content and expect great results and I’ll be honest this career path is not for everyone. (2) Get on Spotify: It is key to expand to spotify these days when your music is matured, growing your spotify to 250 followers and getting verified, and then submitting to playlists which you can do when you have control of your account then. Spotify equals income! (3) Be Concise and Adaptive: Being confident in your work, keeping up with learning new things every day, and keeping emails to two sentences tops with no words that end in (ly), is really the key to it. (4) Be Patient and Strategic: Many people try to throw their tracks up and expect every blog to hop on them and every page to repost them and it just does not work that way. NOTE: Rauthentic has a Music Academy which caters to producers looking to get professional, totally customizable, one-on-one Skype training sessions with some of SC’s finest artists. 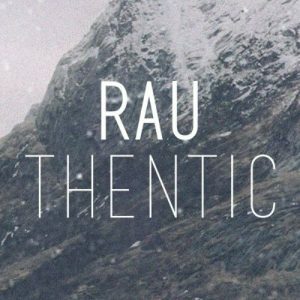 In celebration of hitting 1M plays on Rauthentic’s main account, Rauthentic Music Academy is offering a $10/hour discount on all classes for a limited time. Passionate about taking your production skills to the next level? If so, this is an unbelievable opportunity. For more info, visit goo.gl/vUqVSk and see if Rauthentic Music Academy is right for you!